1 In the beginning was the Word, and the Word was with God, and the Word was God. 2 He was in the beginning with God. 3 All things were made through Him, and without Him nothing was made that was made. 4 In Him was life, and the life was the light of men. 5 And the light shines in the darkness, and the darkness did not comprehend[a] it. The gift of the word will give light and love. 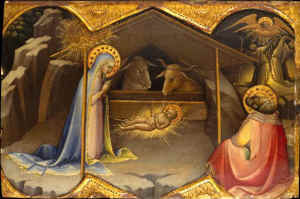 There a baby was born incarnated from the God of love. A new age that enlightens because of the gift of the word. But does the world hear the message today? It will never go out of fashion. It is part of God’s divine causation.